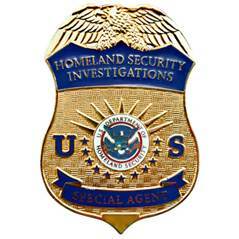 Maryland State Police Criminal Enforcement Division, Western Region is comprised of investigators from the Maryland State Police Criminal Enforcement Division and Homeland Security Investigations (HSI). The investigators are tasked with working investigations within Maryland’s jurisdictions and crimes that cross state lines. The Maryland State Police-Western Region is comprised of three separate areas of enforcement to include criminal investigations, participation in local county drug task force units, and drug interdiction. These investigators, along with partnerships with local, county and Homeland Security Investigations special agents, work together to investigate major crimes while ensuring appropriate prosecution occurs at the state or federal levels. A priority of the Maryland State Police Criminal Enforcement Division is to focus on criminals and criminal enterprises that cross county borders or state lines. The Maryland State Police Criminal Enforcement Division, in partnership with the Department of Homeland Security (HSI), is committed to working with federal and local law enforcement partners, prosecutors and citizens to apprehend these criminals and bring them to justice. If not for the cooperation from all, the criminals arrested during 2015 may not have been brought to justice. Armed Robberies – During the months of June and July, the Westminster Barrack experienced a string of convenience store armed robberies to include four in Westminster Barrack’s jurisdiction and an additional three reported to the Carroll County Sheriff’s Office. CED investigators were able to generate information placing two co-conspirators at the scene of each of the robberies. A collaborative surveillance effort was developed with the assistance of the Maryland State Apprehension Team (MSAT) and the Carroll County Sheriff’s Office. During the operations, CED Westminster, assisted by MSAT, was able to arrest the two conspirators while in the active commission of a robbery. Numerous search warrants were completed and extensive evidence was collected implicating the suspects in multiple robberies. Both suspects were charged with numerous counts of armed robbery. Identity Theft – In February of 2015, CED personnel received a report of a credit card fraud. Preliminary investigation revealed the victim’s credit card information had been compromised and used at multiple locations in Bethesda and Columbia. Upon retrieval of video surveillance, it was noted the suspect was using a physical credit card despite the fact that the initial complainant had possession of his card. CED personnel worked to identify an associated vehicle and suspect based on the surveillance footage. With this information, Westminster CED developed a surveillance plan and created a nexus between the suspect, the suspect vehicle and a townhouse located in Columbia, Maryland. An arrest warrant was obtained based on the facts of the initial investigation, and a search warrant was served at the suspect’s residence. Upon the service of the warrant, a full scale credit card fraud manufacturing operation was located inside the residence. The fraudulent operation included credit card programming devices, multiple fake identifications, a credit card embosser to imprint the fraudulent information on physical credit cards, and various other fruits of the crime. The United States Secret Service was notified and CED Westminster worked tirelessly to compile the information and identify the multitude of victims whose information had been fraudulently obtained and used by the suspect. In all, 63 victim accounts from various states were identified and the case was accepted by the US Attorney in Baltimore. The suspect has been charged federally. Bank Robbery – In January of 2015, Troopers from the Frederick Barrack and Western Region CED responded to the PNC Bank in Jefferson for a bank robbery. A cloaked suspect stole approximately $4,300, using a pistol in the commission of the crime. Witnesses provided a detailed description and a license plate state (WV) of the suspect vehicle. While conducting follow up investigation in West Virginia, CED investigators located a red GMC Acadia which matched the suspect vehicle description. Upon checking the vehicle’s registration, they learned the tag being displayed was stolen. They set up surveillance on the vehicle and observed a man matching the description of the robbery suspect enter the vehicle. CED investigators called the West Virginia State Police and had them stop the vehicle. The driver was carrying a .45 caliber pistol and was positively identified as the bank robber. He was subsequently charged with the PNC bank robbery. Armed Robberies – During November 2015, CED personnel began investigating a series of armed robberies that had occurred at three commercial businesses in three consecutive days. A fourth armed robbery was assigned to the sheriff’s department on day four of the series. Investigators ultimately identified the suspect, who was already wanted in a CED Frederick case for theft. The suspect was also tied to three commercial burglaries being investigated by the Sheriff’s Department. Investigators executed a search warrant on the suspect’s vehicle and residence and used the evidence recovered, along with surveillance footage to charge the suspect in each of the armed robberies. Commercial Burglaries – During May of 2015, CED personnel conducted a series of burglary investigations in Hagerstown where tens of thousands of dollars of lawn equipment had been stolen from commercial establishments. Investigators utilized the Regional Automated Property Information Database (RAPID) system to develop a suspect after locating a portion of the stolen lawn care equipment. During a subsequent interview with the suspect, a confession was obtained as well as the identity of co-conspirators. Criminal charges are pending adjudication. 1st Degree Assault – In August of 2015, CED personnel investigated a stabbing that occurred in Hagerstown. The victim reported he was stabbed by an unknown black male while walking from a residence to a local restaurant. The victim had a large knife wound on his back and was transported to the hospital for medical treatment. During the investigation, investigators located video surveillance from a private residence which revealed that the statements provided by the victim were not accurate. Additionally, the video surveillance enabled investigators to recover evidence hidden by the suspect. During a subsequent interview with the victim, it was learned the stabbing occurred during a domestic assault and criminal charges were filed against his girlfriend. Burglary/Thefts – In January of 2015, CED investigators began a burglary investigation at the Chamberlain Graceful Living Center in Cumberland. Several items were stolen along with numerous prescription pills. Video surveillance was obtained from the business and a white male was observed in the office. Only one key was provided to an employee of the office. Further investigation revealed the employee’s boyfriend matched the description of the suspect in the video. Several interviews were conducted and information was obtained that the suspect had also stolen numerous guns that had been reported to MSP Cumberland. The guns were located and the suspect was charged in both cases. Robbery – In October of 2015, CED investigators began a robbery investigation in McCoole, MD. While the victim and his ex-girlfriend were parked in the parking lot of the VFW, they were approached, assaulted and robbed by two male suspects. The suspects then stole the victim’s vehicle and drove away. Through extensive investigation, CED investigators were able to identify the two suspects in the case and make arrests. Theft/Fraud – In January of 2015, a vehicle was broken into in McHenry, MD. Identification and bank checks were the only items stolen from the vehicle. CED personnel began an investigation and identified a bank in Baltimore where the suspect had cashed a check using the stolen identification. CED personnel were able to link the name on the check to the victim of a home invasion in Maine. CED personnel teamed up with an FBI TFO from Maine to collaboratively investigate the multi-jurisdictional crimes. Investigators realized the MO was similar to that of the Felony Lane Gang based out of Florida. After several months of investigation, CED personnel located an article on Facebook containing a photograph of a female suspect arrested in Ohio for stealing checks. The booking photo of the female suspect appeared to match the suspect from the Baltimore bank surveillance video. After additional investigation and corroboration, CED personnel obtained an arrest warrant for the suspect. The female was subsequently extradited to Maryland where she confessed to being part of the Felony Lane Gang. CED investigators also linked the suspect to similar thefts in WV, PA, VA and Ohio. The suspect was eventually used in a Federal Case against the Felony Lane Gang in Montana. The Federal prosecution resulted in six additional Felony Lane Gang members being convicted. Burglary/Identity Theft – In February of 2015, CED McHenry developed information regarding possible stolen items from a burglary which had occurred at a Friendsville residence. CED personnel authored and executed a search warrant which resulted in the recovery of numerous stolen items belonging to three victims. The investigation revealed the suspects stole the three victims’ identifications and credit cards. The suspects used the victims’ credit to make purchases in both Allegany and Garrett Counties. Additionally, the suspect used the victims’ information to open numerous business accounts, and purchase several thousand dollars of merchandise in WV, PA, and MD. One suspect has been charged and convicted in both Garrett and Allegany Counties. A second suspect is currently awaiting trial. Our High Intensity Drug Trafficking Area (HIDTA) sponsored units focus primarily on drug smuggling organizations attempting to transport bulk quantities of drugs and money in and out of Maryland. Troopers assigned to these units work directly with allied local and federal authorities within the Western Region and throughout Maryland, as their investigations often cross county and state borders. During 2015, the three units collectively arrested 137 drug suspects and recovered over 64 pounds of cocaine, 16 pounds of heroin and more than one and one-quarter tons of marijuana. The units also recovered nine illegal firearms and more than $906,000 in drug related money, while serving 162 search warrants. The Criminal Enforcement Division, Western Region, Drug Enforcement Section covers the westernmost part of the state (Carroll, Allegany and Garrett counties). Drug Enforcement personnel collaborate with federal, state and local law enforcement agencies to achieve an effective and coordinated enforcement strategy. Building relationships with key partners facilitates the exchange of intelligence, avoids duplication of enforcement services and eliminates potential operational conflicts between agencies. Drug enforcement troopers are assigned to three multi-jurisdictional drug task forces located in Garrett, Allegany, and Carroll counties. In 2015, these local drug task force units initiated 499 drug investigations and arrested 177 individuals for possession and distribution of narcotics in Maryland communities. During their investigations, they seized over 41 pounds of marijuana, three pounds of cocaine, five and one-half pounds of heroin, over 33 pounds of synthetic marijuana and almost 3,000 prescription pills. Additionally, these local task forces seized 30 illegally possessed firearms and more than $264,800 in drug related proceeds while serving 153 search warrants. Citizen interaction has proven to be a vital tool for law enforcement in bringing suspects to justice. Without the direct interaction of these citizens, coordination efforts with federal, local and state law enforcement agencies, and the cooperation with federal and local prosecutors, investigators from the Western Region of the Maryland State Police Criminal Enforcement Division would not have been able to achieve a high closure rate. Western investigators would like to thank all that have helped in any investigation and look forward to an even better collaboration in 2016!